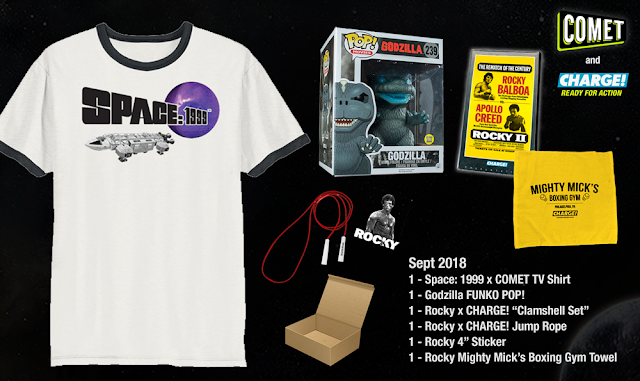 BioGamer Girl has teamed up with COMET TV to give away an exclusive September prize pack. Are you ready for a Spacey-week? I hope so, because COMET TV has so many cool things in September! COMET TV is the new home of the cult classic Space: 1999! The out of this world series starring Martin Landau is a fun retro adventure, you’ll love! Plus, there are Godzilla Double Features, Dr. Who and more. Plus, we can’t forget the action network CHARGE! There is a Rocky marathon featuring the classic film series all month long. CHARGE! is an action network showing the most “kickin’” and “punchin’” films ever created. And we want to give you the opportunity to have an awesome September of your own! The COMET TV and CHARGE! September Prize Pack is perfect for binging some classic films and TV Shows! For a chance to win, email biogamergirlcontests@hotmail.com.